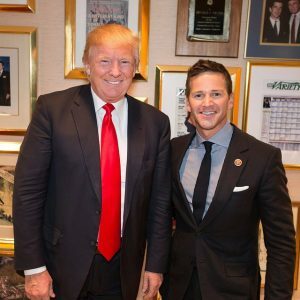 Sixteen years ago, Aaron Schock tossed his Richwood High School mortarboard skyward, donned a suit and drove headlong into a career in politics. Within a year, he was elected as a write-in candidate to the Peoria Board of Education — the youngest person to serve on a school board in the Illinois. He would then become the youngest member to serve in the Illinois House of Representatives and the youngest person elected to the United States House of Representatives. Schock’s was a meteoric rise cut short Thursday when a federal grand jury indicted him on 24 counts of fraud, including wire and mail fraud, false tax returns, theft of government funds and more. All are felonies. Schock, now 35, resigned his House seat in March 2015 in the wake of the government inquiry into these allegations. The 52-page indictment cites such indulgences as office renovations to the theme of the PBS series, “Downtown Abbey”, Super Bowl Tickets bought, then sold for profit, private jets, and extravagant gifts. 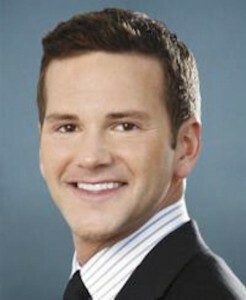 Schock’s attorney, George J. Terwilliger III, attributes the former congressman’s actions to accounting errors, and accused the Justice Department of issuing a proverbial witch hunt. Terwilliger is former Deputy Attorney General at the U.S. Department of Justice under President George H. W. Bush. A 2013 false bank account established in the name of “Globe Travel International”, in which $4,482 in excess funds were deposited from voters who paid to visit a House member in Washington DC. When that account was shuttered, Schock allegedly used a friend’s account. Billing the House and his campaign committee $138,663 for official and campaign-related mileage from 2008-14; 150,000 miles more than Schock’s vehicles were driven, equal to one trip around the circumference of the Earth each year. The repeated billing of fraudulent mileage vouchers to the House and his various committees from 2009 in varying amounts averaging $1,200 per month, close to the amount of Schock’s 2010 Chevrolet Tahoe monthly payment. The sale of Schock’s used 2010 Chevrolet Tahoe in 2014 to the Schock for Congress campaign committee for $31,621. The committee then traded the vehicle for a $26,000 trade-in allowance, at a loss of $5,621, toward the purchase of a $99,89 2015 Tahoe for Schock’s personal use. SFC then penned a check to the dealership for $73,896, later filing a false report to the Federal Election Commission for that payment as a transportation expense. Following a 2014 camera equipment purchase with Schock’s credit card from B & H Photo in New York for use by a personal photographer and videographer. Schock sent the House the $29,021 bill. Under instruction from Schock, the staff member submitted a false invoice for ‘multimedia services’ to Schock’s congressional office, where, after some editing, it was handed to the House, which paid the bill. The funds were sent to the staff member’s bank account and were used to pay Schock’s credit card for the total purchase. Rep. Aaron Schock (R-IL) with singer Ariana Grande. Also mentioned in the indictment is an $8,054 private jet trip, further brokerage of major sporting event tickets, and misuse of a government travel card for a trip to Bethesda, Md. for a haircut and another to a workout facility in Miami Beach, Fla.
Of the allegations, Schock faces nine counts of wire fraud and one of mail fraud. Additionally, he faces five counts of false filings with federal election officials, six counts of false tax returns, two counts of making false statements and one count of theft of government funds. Schock was released on a personal recognizance bond is scheduled to appear before U.S. District Judge Sue Myerscough Nov. 21 in Springfield.